According to Eastern Michigan University, a group of longtime friends from the Arm of Honor Alumni Association of EMU presented the university with a check for the sum of $2,500. The donation was made to help a new project at Eastern Michigan University called the Fermentation Science Program. According to the EMU press release, "The Association, a fraternity group of prominent area citizens who went to school together at Eastern Michigan, regularly supports various projects on campus." The group presented the donation at local favorite watering hole, Arbor Brewing Company's Corner Brewery in Ypsilanti. Chemistry professors Cory Emal and Gregg Wilmes began the Fermentation Science Program in 2016. The program's mission is to train students for career paths that are based in the fermentation of food and drink. Examples of fermentation drinks would be crafted beer and cider, of course. Further, food staples like yogurt, cheese and sauerkraut also entail fermentation, according to the press release. According to EMU, "The program's curriculum combines an understanding of the science of fermentation with a broad background in chemistry, biology and physics. PWP Writers Alley: Reflections on Flint and Hartford...Yard Goats? By Gerry "Downtown" Brown. Ok, he's my dad! Contributed by Gerry "Downtown Brown" of West Hartford, Connecticut, formerly of Flint, Mi. It's about 6: AM on a Thursday in June. I can only see the Sun's rays outside on the grass outside my window. It would seem the local weather people were right. Sunny and less humid. As I lay in my bed my mind wanders from thoughts of Boston's blown game Wednesday night to thoughts of what I shall have for breakfast. Then for no reason at all, my thoughts move to the Hartford Yard Goats. I think of it as such a terrible name, surely I could have done much better. A "Yard Goat" we were told is a locomotive used in freight yards to move box cars into place. Huh? One of the goat mascots is named "Chew Chew." Come on! I started to think hard, real hard. Let's see - animals. Hartford Bisons-Hartford Hyenas. Uh, uh! Hartford Walrus's! Nah! Hartford Elephants. Uh, uh! Then my thoughts turn to my adopted city of Flint, Michigan where I spent many wonderful years raising a family and owning a business. They were good years-coaching Little League Baseball and sand lot football. Great friends-Mike and Kay-Bob and Doris-Barbera and Ben-Al and Sheila. Good times! Flint was at it's Zenith! General Motors was huge. Full employment. Buick Head Quarters. Buick Assembly, Chevrolet engine - truck manufacturing. Delco. Flint was thriving. Perhaps 50,000 in the auto industry. This was in the 60's and 70's. Then Bam! General Motors pulls out. The documentary movie Roger and Me, which portrayed Flint's downfall, by local native Michael Moore and I'm back in Connecticut. Hartford is an insurance city. How about the Hartford Underwriters? Terrible! The Hartford Premiums- Uh, uh! Then I finally get it! The Hartford Gorillas - perfect. Can't you see the sports page? Hartford Gorillas take on the Richmond Flying Squirrels - whoa! Wait a minute. Even better. Yeah great! The Hartford "Silver Backs." The press releases would be outstanding. The mascot would be none other than "King Kong." Wow! Then my thoughts go back to the Yankees of the late 30's and early 40's. Thoughts of Charlie "King Kong" Keller. King Kong Keller lives again! Now you tell me- The Hartford Yard Goats or the Hartford "Silver Backs?" No contest. Writer is 87 years old. Strong turnout Saturday for 1st Annual Rosie the Riveter Arts & Crafts Show in Ypsilanti Twp North Bay Park. The weather couldn't have been better for the 1st Annual Rosie the Riveter Arts & Crafts Show that took place in North Bay Park in Ypsilanti Twp on Saturday, July 29, 2017. Warm temperatures and sunny skies contributed to the upbeat, positive, and fun atmosphere at the Arts & Crafts Show. The turnout for the first annual event was strong as the parking lot located off Whittaker Rd was packed and the adjacent field was filled with cars. Over 50 vendors from around the area took part in the Arts & Crafts Show, including locally based Gleehead Baking Company (their macarons are delicious) and Bands On the Run, which specializes in beautiful and colorful headbands. According Katie Lieder, owner of Bands On The Run, foot traffic was a bit slow earlier in the morning, but after 10:30 am business really began to pick up and had become quite steady. It was obvious that vendors and visitors were having a fantastic time taking in the crafts, art, and good vibes at the 1st Annual Rosie the Riveter Arts & Crafts Show at North Bay Park in Ypsi Township Saturday. Katie Lieder. Owner of Bands On The Run. The folks at Gleehead Baking Company. United States has detected a North Korean missile launch that occurred Friday morning July 28. As of 11:45 Friday morning, July 28, 2017, the Pentagon has confirmed that a North Korean ballistic missile launch has been detected, according to CBS News.The launch occurred at approximately 10:45 am according to the Pentagon. American and Japanese officials told CBS that the missile flew for 45 minutes and landed off the coast of Japan. According to reports the missile landed between Japan and the Korean Peninsula. Statement by Fifth District Congressman Dan Kildee on Trump Banning Transgender Military Personnel. Congressman Dan Kildee, (MI-05) who is a Vice Chair of the lesbian, gay, bisexual and transgender Equality Caucus, released a statement on Wednesday, July 26, 2017, in the aftermath of Donald Trump's announcement that transgender Americans will no longer be allowed to serve in the United States Military. This is the statement made by Congressman Kildee on Wednesday, July 26, according to a press release from the Kildee Office. "The President's ban on transgender service members undermines our military's readiness and is a slap in the face to the thousands of transgender Americans already serving in the military. Anyone who is willing to put on the uniform of the United States and risk their lives in service of our country should be celebrated as patriots, regardless of their gender identity. This short-sighted and discriminatory policy will make America less safe." City of Ypsilanti Non-Motorized Advisory Committee public meeting July 27: Effort to make Ypsi League of American Bicyclists Friendly Community. The City of Ypsilanti Non-Motorized Advisory Committee will be holding a public meeting in order to work on an application for Ypsilanti to become a League of American Bicyclists Friendly Community. This according to a July 25 press release from the City of Ypsilanti. The meeting will be held Thursday, July 27, 2017 from 7pm until 8:30pm at the Ypsilanti District Library Meeting room #1. The library is located at 229 W Michigan Ave in downtown Ypsilanti. The University of Michigan Thursday Morning Lecture Series is holding an interesting event called Entertainment in Ann Arbor As it Was, As It Is, and As It Might Be. The lecture is organized Osher Lifelong Learning Institute. The lecture will be held at Washtenaw Community College, Townsley Auditorium, Morris Lawrence Building from 10am - 11:30am on Thursday, July 27. The cost is $10.00. History and theater expert Russ Collins will discuss the history and provide tidbits of information about Ann Arbor's many theaters including Michigan, State, Hill Mendelsohn and Rackham. Collins will also share thoughts about the development of Ann Arbor and what it may be like in the future going to concerts, shows and movies in the area. Russ Collins is Executive Director of the Michigan Theater Foundation which operates the Michigan Theater, the State Theater, and Cinetopia, which is Detroit's International film Festival. 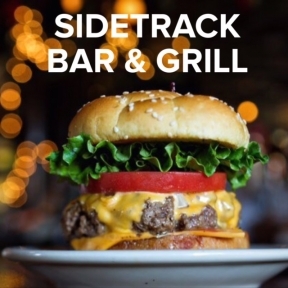 YpsiTasty - Local Food Grub Crawl Tuesday, July 25 in Ypsilanti. The Tower Inn located at 701 W Cross St, Ypsilanti. Photo Purple Walrus Press. Great things are happening in Ypsilanti these days and the YpsiTasty - Local Food Grub Crawl is the icing on the cake. Hosted by Ann Arbor/ Ypsilanti Regional Chamber, and Growing Hope, the Ypsitasty Local Food Grub Crawl is an excellent way for lovers of local food to sample, taste and enjoy locally grown food and beverages served at Ypsilanti restaurants. The Ypsilanti Food Co-op and Ypsilanti Farmers Market are also participating. The event will be held Tuesday, July 25 from 5 PM until 9 PM in Ypsilanti. Tickets are $25 for adults and $5 for kids and are available at business.a2ychamber.org. Ypsilanti Fire Dept, Police & Humane Society of Huron Valley rescue kitten on Washtenaw Ave in Ypsilanti. 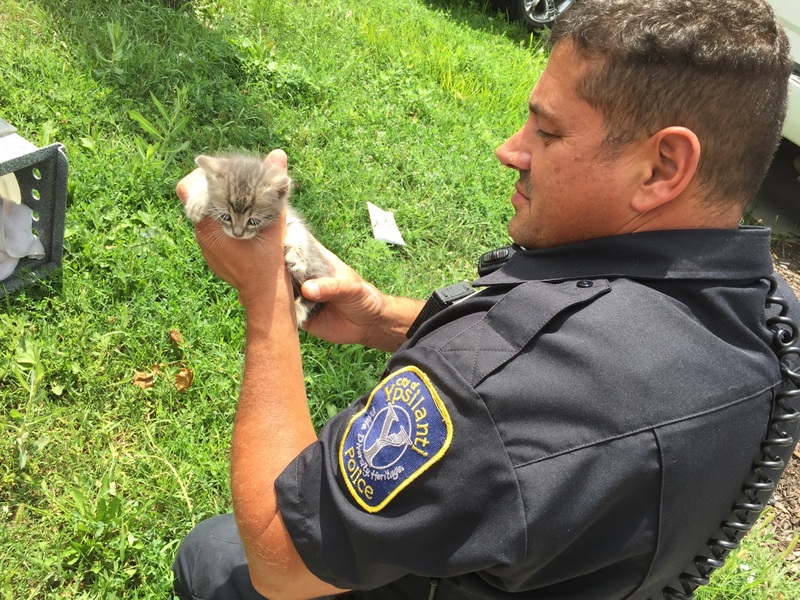 Ypsilanti Police Officer holds rescued kitten Sunday on Washtenaw in Ypsi. Photo Eoin Ryan Purple Walrus Press. Updated Tuesday, July 25, 2017. 11:30 AM. At approximately 1:45 PM Sunday, July 23, 2017, the Ypsilanti Fire Department, Ypsilanti Police and the Humane Society of Huron Valley coordinated in rescuing a kitten that had found its way into a storm drain directly in front of Dom Bakeries located on 1305 Washtenaw Avenue in Ypsilanti. 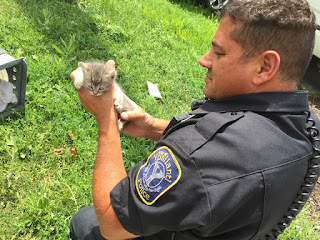 According to Ypsilanti Fire Department Captain Barnabo, Saturday afternoon witnesses watched someone dump off several kittens on the side of Washtenaw Ave in front of Dom Bakeries. Witnesses said that one of the kittens immediately ran down into a storm drain in front of the bakery. Captain Barnabo stated that today the Fire Department decided to flush out the kitten with a gentle stream of water. A hose was placed in a nearby manhole in close proximity to the drain the kitten entered through and a light amount of water was released. Moments later, the kitten scampered up and out of the drain. The kitten was scooped up by a member of the Huron Valley Humane Society and placed safely into a carrier. It was a happy ending to a potentially sad beginning. PWP spoke to Humane Society of Huron Valley Communications Director Wendy Welch on Monday about the status of the kitten that was rescued on Washtenaw Ave Sunday afternoon. Welch stated that the kitten is very young and will be in foster care for approximately one month before being up for adoption. Hot Fun In the Summertime: Masses of Humanity converge on Ann Arbor for Street Art Fair. South University. 2017 Ann Arbor Art Fair. The Ann Arbor Art Fair is kicking in and to borrow a song title from an appropriate Sly and the Family Stone song, this means one thing, 'Hot Fun In the Summertime'! Four separate Fairs actually make up one big gigantic and enormous Ann Arbor Art Fair. Yep, four! There is the Original Street Art Fair, the Ann Arbor Summer Art Fair, the State Street State Art Fair and the South University Art Fair. As the Ann Arbor Area Convention & Visitors Bureau puts it, "Four Fairs. One Event." As we speak, thousands and thousands of people are converging on Ann Arbor, and with temperatures in 90's, oh boy, it is hot and sticky out there. But who cares! The town is brimming with beautiful art, beautiful people, great food, fantastic deals on clothing, and tons and tons of, well, stuff. But its totally cool stuff, so let it reign! Reign, not rain! How many vendors take part in the Art Fair? Rumor has it about a thousandish. Holy Mackerel! If the art work is a bit too pricey for you, because, listen, the art can be pricey, then go check out the tent in front of the M-Den on State Street. They are selling authentic Michigan jerseys for $20.00! I bought on myself! But here is my special advice for hanging out at the Ann Arbor Art Fair...BRING PLENTY OF WATER AND STAY HYDRATED! Oh, and go check out the M-Den on State Street for those awesome Michigan jerseys! Ann Arbor artist/Jewelry maker Nancy Melet. Concerns raised over potentially dangerous chemical PCE at site of former Forbes Cleaners Ypsilanti Township. Building that formerly housed Forbes Cleaners on Ecorse in Ypsilanti Twp. Purple Walrus Press photo. According to an update posted by Ypsilanti Township Trustee Monica Ross-Williams, concerns were raised at a July 18 Ypsilanti Township Trustee meeting over the possibility of the presence of a potentially dangerous chemical at the site of the former Forbes Cleaners in Ypsilanti Township. 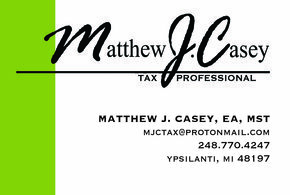 The commercial property is located at 923 Ecorse Road in Ypsilanti Township. According to the Ypsilanti Township Board of Trustees meeting update, during the Ypsilanti Township Trustee meeting, the Township's Attorney provided updated information regarding the property. According to the Township Trustee meeting update post, "On April 11, 2017, an affidavit was filed with the Washtenaw County Register of Deeds on behalf of Ypsilanti Township noting, potential purchasers of the property at 923 Ecorse Road, a foreclosed property in Ypsilanti Township under the authority of the Washtenaw County Treasurers Office, of pending violations existing at the property." According to the Ypsilanti Township Trustee meeting update, an environmental Consulting Company called AKT Peerless was requested by Washtenaw County Treasurers Office to inspect the property at 923 Ecorse to determine if any environmental concerns existed at the property due to the fact that the building had housed a Dry Cleaners for a long period of time. Of concern is the possibility of the existence at the site, of a potentially dangerous chemical called Perchloroethlene also known as PCE or PERC. This is a chemical that is used quite regularly in Dry Cleaners. There are guidelines that have been published by the Environmental Protection Agency in order to reduce PCE/PERC levels if the "National Perchloroethylenev Air Emission Standards", which is under the organization, rule study. According to the July 18 Ypsilanti Township Trustee meeting update posted by Township Trustee Monica Ross-Williams, "The rule study notes, (2), "These maximum achievable control technology (MACT) standards will reduce emissions of Perchloroethylene (PCE) from new and existing dry cleaning facilities in the industrial and commercial sectors of the dry cleaning industry." According to the American Cancer Society, Perchloroethylene is a commonly used solvent ( a substance, usually a liquid, capable of dissolving another substance)." The American Cancer Society states that the chemical is commonly used to dry clean fabrics. When PERC is air born it can condense and effect soils and water. This is because it evaporates into the air, according to the American Cancer Society. The chemical is present in very small amounts in the air that we breath and water hat we consume. According American Cancer Society, people who live close to dry cleaning operations and or live in a building where dry cleaning businesses are located are exposed to higher amounts of tetrachlorethylen (also known as perchloroethylene) that are in the air. According the American Cancer Society, "The highest exposures to tetrachlorethylene tend to occur in the workplace, especially among dry cleaning and degreasing workers." According to the Ypsilanti Township Trustee meeting update, based on phase 1 study findings of property at 923 Ecorse Road, "The Washtenaw County Brownfield Redevelopment Authority was scheduled to approve a $15,000 grant submitted on behalf of the Washtenaw County Treasurers Office for a phase 11 Study Environmental study to examine the amount of PCE/PERC existing at the property in the soil and air." According to the Ypsilanti Township Trustee meeting update that was posted on July 19 by Monica Ross-Williams, the phase 11 request for a study and the allotted funding was, "pulled on behalf of the Washtenaw County Treasurers Office citing, as noted during the General Legal Update of the Ypsilanti Township Board of Trustees Meeting by the Township's Attorney due to the County Treasurer Office belief the office "Did not have any legal obligation to have Phase 11 ESA performed", and the County Treasurers Office scheduled the property for auction for August 25, 2017." According to Ypsilanti Twp Trustee Monica-Ross Williams, it was noted during July 18 Township Board meeting that, "At an impasse with the County Treasurer Office, the Township Attorney contacted an official from the Michigan Department of Environmental Quality to immediately address the possible environmental hazards existing at 923 Ecorse in effort to halt the pending auction as noted above and complete further studies to address PCE and or PERC chemical presence on the site." It is important to note that according to the Ypsilanti Township Board meeting update posted by Trustee Monica Ross-Williams on July 18, 2017, that an MDEQ (Michigan Department of Environmental Quality) official, "Agreed to take swift action address continuing Environmental Studies, up to and including Brownfeilding the property and pausing future auctioning of 923 Ecorse until the ongoing environmental concerns are addressed." Purple Walrus Press attempted to contact Washtenaw County Treasurer Catherine McClary on Wednesday, July 18, for comment. As of late Thursday afternoon, McClary has not responded. According to a July 19, 2017 statement sent to Purple Walrus Press from Ypsilanti Township Trustee Monica Ross-Williams, "As a Trustee and resident living near the former Forbes Cleaners at 923 Ecorse Road, I'm elated it appears that the MDEQ will seek to address and environmental concerns which could exist on the property. Equally, I am pleased our Township Officials pushed to have concerns addressed after the findings in the phase 1 study for our residents living near the former Forbes Cleaners as well as Business Owners on the Ecorse Road corridor." Senator John McCain diagnosed with brain tumor according to Mayo Clinic. 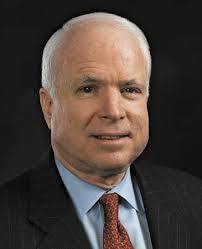 In a press release sent from the office of Senator John McCain it was stated that John McCain has been diagnosed with a brain tumor. The tissue containing the tumor has been removed. On July 14, 2017, Senator McCain underwent surgery to remove a blood clot from just above his left eye. The surgery took place at the Mayo Clinic in Phoenix Arizona. Today the Mayo Clinic stated that tissue pathology showed that a brain tumor is associative to the blood clot. According the press release from the office of Senator McCain, "The Senator and his family are reviewing further treatment options with his Mayo Clinic care team. Treatment options may include a combination of chemotherapy and radiation." As stated in the press release, Senator McCain is greatly appreciative of all of the support he has received over the past several days. Stop the Deportation of Lourdes Salazar Vigil/Rally downtown Ann Arbor Tuesday, July 18. Rally at Federal Building after march from St Mary's Church vigil in Ann Arbor, MI Tuesday. Approximately 500 people took part in a vigil and rally in downtown Ann Arbor Tuesday evening July 18, protesting the deportation of Ann Arbor resident Lourdes Salazar. The event began with a vigil at St Mary's Church located on E.William Street in Ann Arbor and was followed by a march to the Federal building a few blocks away on E. Liberty Street. The purpose of the vigil & rally was to stand in solidarity with Lourdes the night before she is supposed to report to ICE (Immigration and Customs Enforcement) with a plane ticket to Mexico. This according to a statement from the organizers of the vigil/rally. Vigil and rally participants were encouraged to bring signs saying "Keep Families Together", and "Stop Unjust Deportations." According to event organizers, Lourdes has lived in the city of Ann Arbor for over 20 years and has three children who are U.S. citizens. Lourdes Salazar faces being deported in August. According to an event post by organizers, "Lourdes first came into contact with ICE in 2011, and after being detained for almost a month, ICE "traded" Lourdes for her husband. Lourdes' husband was deported and Lourdes was allowed to stay in the United States in order to care for for her children. " Purple Walrus Press has not confirmed this statement with ICE. According to organizers, Lourdes has been checking in with Immigration and previously has been granted a stay of removal . According to a Vigil/Rally post by organizers, Lourdes stay of removal was denied. She has been ordered to purchase a plane ticket and leave the United States by August 2. According to rally organizers, "Lourdes could lose her home, her community and her children could be separated from each other if she is deported." A heck of a lot of construction this summer on Eastern Michigan University campus. If you are strolling around the beautiful campus of Eastern Michigan University be sure to wear sunglasses because you are going to see a whole lot of construction and a whole lot of bright orange. Everywhere you look you will see orange fences, mounds of dirt, bulldozers and just all kinds of heavy construction equipment type stuff! This according to a recent press release from my Alma Mater EMU. Well, they phrased it a bit differently, but still, lots of neat construction stuff abounds on the ole campus. Here is a sample of but a few places on campus where some heavy construction is happening according to a July 15, 2017 EMU press release. Loop 1 Replacement, which basically entails the replacement and conversion of electrical service to many buildings on campus. I would provide more detail but this kind of thing is way over my head! Swing Space: This project involves modifications to classrooms in Strong Hall that are upcoming. Quirk Hall Upgrade: This project involves upgrades to Quirk Hall, including the theater. Eastern Eateries: This project entails the addition of a fantastic salad bar. Awesome healthiness! These are only but a few of the many construction projects happening all over the EMU campus! Looking forward to the final result! In the meantime, don't forget those sunglasses to block all the bright orange glare! Congresswoman Debbie Dingell presented family of WW1 Veteran Purple Heart Saturday, July 15. On Saturday, July 15, 2017, U.S. Congresswoman Debbie Dingell presented a Purple Heart to the family of the late WWI Veteran Corporal Rupert Scheer. The Purple Heart was given to the family for his service in the U.S. Marine Corps for which he proudly served in during WW1. The family of Corpral Scheer contacted the the office of Debbie Dingell who worked to secure the Purple Heart for Corporal Scheer's duty. According to a press release Saturday from Debbie Dingell's office, "It's an honor to present the family of Rupert Scheer with this deserving recognition of his service and sacrifice." "It is because of individuals like Corporal Scheer, who serve this country with courage, valor and distinction, that we remain the land of the free and home of the brave." According to Debbie Dingell's press release, on June 30, 1918 Corporal Scheer was badly wounded while serving in France in the aftermath of the Battle of Belleau Wood. Home invasion/murder Tues on Flint's Eastside: Days like today my head spins w/ thoughts/memories of growing up in Flint East Village. This past Wednesday morning, July 12, I learned from a friend who lives in Flint that a horrible home invasion & murder had taken place the previous day in the neighborhood I grew up in on Flint's Eastside. Further, the first home that my wife and I bought, and one that we lived in for five years prior to moving to Ypsilanti in 2004, is located two blocks away from the location of the home invasion/murder. This morning more details emerged about the tragic event that occurred this past Tuesday. Today I learned from WJRT ABC 12 News Flint, that five individuals have been charged in connection to the home invasion and murder on Flint's Eastside Tuesday, July 12. The five individuals have been charged in the death of a Flint man who was shot to death during the home invasion. The home invasion/murder occurred in the 100 block of S.Cumberland Street that intersects Commomwealth St located on the Eastside. According to WJRT News, a neighbor heard shots, looked out the window and saw an upstairs light on. According to reports this would have been at approximately 4:56 AM Tuesday morning. It was clear from the witnesses statement to WJRT that the police responded almost immediately. WJRT reports that police think that after the invaders entered the home, the homeowner went for a gun which was followed by an exchange of gun fire inside the house. The victims wife was upstairs and was not injured. Flint Police stated to WJRT that one of the home invaders left the scene in a car before crashing into another vehicle at the corner of Court Street and Vernon a few blocks away. As reported by WJRT News Flint, of the five individuals charged in the shooting death of the home owner, four are in police custody. One person who is charged has thus far eluded police and is on the run. The five individuals charged in the home invasion and murder are between the ages of 17 and 20 years of age. In my mind, the fact that five, yes five individuals participated in the home invasion is particularly chilling and alarming. This crime was an all out coordinated assault on innocent unsuspecting home owners in the hours before day break. The young ages of those charged is no less disturbing. I know this neighborhood well, as I grew up there and, as stated above, purchased a home in this neighborhood before moving to Ypsilanti. This is a good neighborhood, full of good people, many of whom are as dedicated to the city of Flint as my friends and family are or have been in the past. 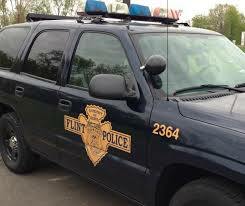 Flint was very good to me and I have many wonderful memories of growing up in this area. Unfortunately, this scenario plays out far too often, not only in Flint, but across the entire nation. So sad and disturbing. Eastern Michigan University President will be speaking at Plymouth Rotary meeting July 21 according to EMU press release. Eastern Michigan University President James Smith is reaching out to surrounding communities in the Ypsilanti area and Plymouth is one of these communities. EMU wishes to engage local communities, whether they are on campus or within the surrounding area, according to the July 12, 2017 press release. The meeting will take place at the Plymouth Cultural Center located at 525 Farmer Street, July 21 and will begin at noon. According to the press release Plymouth has one of the highest numbers of students attending EMU. According to the press release from EMU, "President Smith will provide an overall update on University growth and collaboration initiatives." Topics that President Smith will be speaking about include new academic programs that address the needs of employers today, EMU'S support of students who are veterans of the military and career success for students who graduate from the University. U.S. 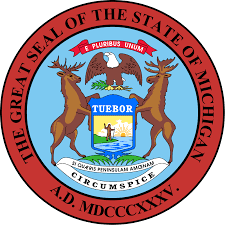 Senator Stabenow introduces legislation intended to help small business in Michigan. By Jeff Brown Editor & Publisher. July, 13, 2017. According to a July 12, 2017 press release, U.S. Senator Debbie Stabenow introduced legislation titled the Growing Small Business Act. The act would allow small business to receive a tax cut that would help enable growth and business expansion. The bill provides for a 25% tax credit for the cost of buildings and equipment for a business's first commercial production facility. According to Stabenow, "During my small business tour, I have met so many talented entrepreneurs who are working hard every day to grow their business's and create jobs." "My bill provides a tax cut that will make it easier for bakers, brewers, software companies, and other small business's across Michigan to take that next step to expand their business." Many participate in Cross Street Village Protest Ypsilanti Wednesday: Some protest signs over the top? By Jeff Brown Editor & Publisher. Updated Thursday, July 13, 2017, 3:30 PM. Roughly 75 people, many of them Seniors, picketed and protested in front of Cross Street Village Apartments in Ypsilanti Wednesday evening, July 12, 2017. The Save Our Seniors Protest/Picket was hosted by Ypsilanti City Council members Beth Bashert and Pete Murdock, as well as Cross Street Village resident Jayna Eckler. According to a post in the Save Our Seniors picket and protest event, organizers believe that seniors are being forced to move out of Cross Street Village. According to the post, "All because the owner of this subsidized housing building, and the recipient of many tax benefits, is going to change the building to market residency rates." Protesters, as well as some of the residents of Cross Street Village Apartments who participated in the protest/picket Wednesday, are concerned that the rent at Cross Street Village will be unaffordable in the future. Rent increases have raised concerns in Washtenaw County, SE Michigan and throughout the entire country. There is a legitimate issue in regard to affordable housing in general, particularly in Washtenaw County. Housing affordability problems in Washtenaw County reflect a nationwide problem. On May 30 of this year, Purple Walrus Press was contacted by James Harrigan, Executive Vice President of Independent Management Services. IMS is the management company for Cross Street Village. According to statements made to Purple Walrus Press in two separate conversations in May and early June of 2017, Harrigan said that, and this is paraphrased, There have been rent increases, but this is not unusual and is in line with normal business practice, and that the increase is needed for general maintenance of the building and grounds. In the May Purple Walrus Press conversation Harrigan also stated that the rent increases are do to capitol needs and emphasized that the Cross Street Village building is old. Harrigan stated in May that prior notice of rent increases were given to residents, adding that moving forward, residents will be given up to 60 days notice in regard to leases. As stated in the Purple Walrus Press article published in May, 2017, there is something called the Low Income Housing Tax credit Program (LIHTC). According to the Housing Justice National Housing Law Project, "When the LIHTC program was initially created, it only required a 15 year compliance period. Therefore, properties developed between 1986 and 1989 only have 15 year compliance periods. Post-1989 developments have at least 30 year restrictions as required by the Revenue Reconciliation Act. However, the statute allows for owners to opt out by requesting that the state HFA finds a "Qualified contract" purchaser to buy the property during the fourteenth year of the initial 15 year compliance period. If no purchaser is found, the owner may exit the LIHTC program. If a purchaser is found, or if the owner will not sell the property, the use restrictions extend to the full 30 years." Granted, this information is wordy and complicated, but remains key as far as thoroughly understanding the issue. In essence, there is no wrong doing on the part of ownership. There is however, a large problem as far as the availability of affordable housing in Washtenaw County, and the entire nation. This issue of lack of affordable housing does need to be addressed, but addressing it on a legislative level may be more appropriate. An option would be to petition congressional leaders and local representatives in order to tackle the problem of affordable housing in Washtenaw County as opposed to blaming business owners. Of the roughly 75 protesters picketing in front of Cross Street Village Apartments, several carried signs with statements that were quite provocative and could be interpreted as offensive and over the top. Examples of picket signs that could be interpreted as offensive were signs that read, "Krueger is Killing Seniors", "Krueger Kills Seniors", "Krueger A Tax Program Whore'", and "Krueger Greed Kills." Affordable housing is a very important issue and senior citizens in Washtenaw County and throughout the nation should not have worry about making rent payments, but perhaps a more constructive way to address this issue is through legislation and petitioning congressional leaders instead of targeting business owners. This is a complicated issue, to be sure. UPDATE: As was accurately pointed out to PWP by a reader, a table was set up at the protest Wednesday that provided post cards allowing space for comments. Address lists were provided for mailing the cards to officials on a state and federal level. State Representative Ronnie Peterson participated in the protest Wednesday. Protest in front of Cross Street Village Apartments Wednesday. Purple Walrus Press photo. On the Flint Water Crisis: Flint Water Crisis Activist Melissa Mays. Contributed to Purple Walrus Press by Melissa Mays. Ah! One year ago we were able to see one of the first victories in our Safe Drinking Water Act lawsuit. The goal was to get the City and State to comply with the Safe Drinking Water Act law and start fixing the problems by replacing the pipes they destroyed covered under the law. And we've got that now. We need to use this as motivation to keep pressuring the State to replace all the destroyed infrastructure, including inside the homes. We went through a long battle for one piece of the puzzle to our recovery, but we won. So let's use keep that in mind as we push for accountability and a full recovery for Flint! PWP Doppler Schmoppler Weather Center: Bad weather rolls into SE Michigan Monday morning. According to the Purple Walrus Press Doppler Schmoppler Weather Center, as of 10:00 am, Monday morning, crummy weather has rolled into the Ann Arbor / Ypsilanti area. Yep, it is wet and gloomy out there right now, folks. Currently, the temperature is a comfortable 67 degrees , but by later today, we should see the mid 70's. From the looks of things, it is going to be rainy and stormy all day long, so break out that old rain slicker and those galoshes that are hiding way in the back of the closet! Hold onto your hat, it could get a little rough out there! Rainy Monday morning in Ypsi. Photo Purple Walrus Press. University of Michigan Thursday Morning Lecture Series July 13, WCC: Downtown Ann Arbor Yesterday, Today, & Tomorrow. An interesting and important event/lecture, organized by the University of Michigan Osher Lifelong Learning Institute, will take place at Washtenaw Community College on Thursday, July 13, 2017. The event, which is part of the UM Thursday Morning Lecture Series, is called Downtown Ann Arbor Yesterday, Today, and Tomorrow. The lecture will focus on the fact that downtown Ann Arbor finds itself going through a period of immense change. The lecture will entail exploring the questions of what should be preserved, what changes should be accepted or rejected, and how to do it. Discussed will be awareness of Ann Arbor's historical past, values and identity. Also addressed will be the importance of understanding the challenges downtown Arbor faces and what opprotunities are available. Ray Detter is Coordinator of the of the Downtown Ann Arbor Historical Street Exhibit Program. Susan Pollay is executive Director of the Ann Arbor Downtown Development Authority. The lecture will be held Thursday, July 13 at Washtenaw Community College Townsley Auditorium Morris Lawrence Building, 4800 E. Huron River Drive , Ann Arbor. The cost of the event is $10. The lecture will run from 10:00 am - 11:30 am. Parola Perspective: We voters must decide what we hate more: Extreme polarization or mealy-mouthed moderation. By Brooks Parola. Purple Walrus Press. I can remember a time before Reagan where people's excuse for not voting was based on the notion that the candidates and parties were all the same. And, of course they appeared that way, because the electorate wasn't so polarized. Since moderate voters dominated the electorate, candidates were forced to be moderate and bipartisan too. As screwed up and corrupt as our electoral process is folks, we voters must decide what we hate more: Extreme polarization and partisanship, or moderation where we are faced with mealy-mouthed candidates who don't seem to stand for anything. Yes, we're all very good these days at standing up for our principals, refusing to compromise, and chastising all of the candidates who don't pass our purity tests. But the bottom line is if that's the way the electorate is, than polarization and extreme partisanship will continue to produce gridlock in Washington. Pop-Up Play: Nature Storytime: County Farm Park Ann Arbor July 8. What can beat relaxing in the shade while listening to Native American Folklore stories for an hour in a park? It is hard to think of anything more interesting and relaxing. If this sounds intriguing then you have to check out Pop-Up Play: Nature Storytime. Tara and Nissa will share an hour of Native American folklore storytelling at County Farm Park. Ann Arbor Forest School preschool teachers Tara and Nissa lead these free playground programs. There is no registration required.. Feel free to drop in and stay as long or as little as you like. The program is for children ages 2-5. Stop by and check out Pop-Up Play: Nature Storytime on Saturday, July 8 at County Farm Park in Ann Arbor, from 10 AM until 11. Yiddish LeyenKrayz at University of Michigan July 7. The Yiddish LeyenKrayz is a weekly Reading group organized by the Judaic Studies program at the University of Michigan. The event is open to students, faculty and those interested in reading Yiddish. The group reads classic Yiddish literature, but is also interested in rediscovering lesser known texts in the original form. Plays are also read and are divided according to roles. Copies of text are always made available at each meeting. The event will be held in Ann Arbor at 202 S. Thayer - Room 2000, at 12:00 noon. As of June, 2017, 1,871 pipes replaced in Flint under Mayor Weaver's Fast Start Initiative. According to a press release from the office of Flint Mayor Karen Weaver, 1,871 lead-tainted service lines have been replaced in the city of Flint as of June 26, 2017. The city is in phase four of Mayor Weaver's FAST Start initiative. The initiative is part of Mayor Weaver's plan to replace lead-tainted pipes in 6,000 homes in Flint. Crews from four Flint area companies are replacing lead galvanized lines that lead from the street to the water meter in Flint homes during this fourth phase of Fast Start. The fourth phase is an extension of the Mayor's efforts to restore safe and clean drinking water to the residents of Flint. According to the press release, "Crews discovered copper service lines at 479 homes that did not need to be replaced." Soon the FAST Start Initiative will begin checking the composition of 4,000 service lines using hydro-excavation in order that replacement crews can avoid digging up copper lines and concentrate on homes with lead galvanized pipes. Downtown Flint. Purple Walrus Press photo. Huge turnout for 2017 Ypsilanti 4th of July Parade Tuesday. The sun was shining, the temperature a comfy 75 degrees and hundreds turned out for the Ypsilanti Fourth of July Parade Tuesday, 2017. Our nation may be in the throes of vast political turmoil and polarization, but you wouldn't have known it by all the smiling faces and friendly atmosphere at Tuesday's Ypsi 4th of July parade. The parade was sponsored by Ypsi Real, The Bomber and Budget Towing. Beginning at 11:00 am, the parade marched down West Cross Street into Depot Town and featured local businesses, organizations and groups within the community. The parade offered many highlights, but Elvis Fest and the Rosie the Riveter outfit deserve special mention. Also, it is always to a treat to see Ypsilanti Police & Fire units, as well as, local Vietnam Veterans of America. Without a doubt, it is safe to say that all who attended and participated in this years Ypsilanti 4th of July Parade Tuesday had a great and joy filled time. These days, that is no small thing. Rosie the Riveter provides punch to the parade!